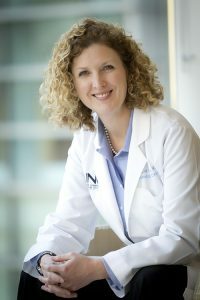 Recognizing the importance of translational research, Dr. Carey founded the UNC Office of Clinical & Translational Research in the late 1990’s to provide an infrastructure for conducting translational and correlative research in breast cancer at the UNC Lineberger Comprehensive Cancer Center. Dr. Carey’s research interests focus upon breast cancer, including examination of different subtypes of breast cancer, evaluation of new chemotherapy agents in early breast cancer, and examination of tumor characteristics that predict response to therapy. As OCTR Director, Amy applies her training in organizational management, public health and research administration to provide operational leadership for the OCTR. Amy oversees all areas of research operations including regulatory, recruitment, data, and grants management. Since joining the OCTR in 2011, Amy has made significant contributions to the growth and success of translational oncology research at UNC, including expanding OCTR services to all cancer types. Amy enjoys collaborating with investigators, sponsors and staff to develop and implement innovative and effective methods for conducting correlative and translational oncology research. Kathryn Pietrosimone works closely with UNC Lineberger leadership to develop, implement and manage the UNCeq2 clinical research trial. She also works with investigators in the Department of Hematology/Onoclogy and NeuroOncology to develop protocols, grants, and manuscripts for publications. Patty Spears provides scientific leadership and guidance to advance OCTR translational trials and data management of the Alliance for Clinical Trials in Oncology breast cancer research trials. 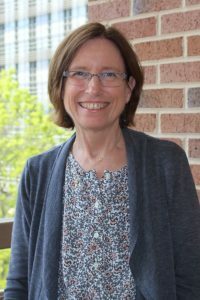 Patty also provides advocacy leadership for UNC Lineberger, including leadership of the Patient Research Advocacy Group. Patty hopes to combine her scientific research and patient research advocacy experience to have an impact on the local and national fight against breast cancer. Emily Bell is the study coordinator for HARMONY: Harnessing the Analysis of RNA expression and Molecular subtype to Optimize Novel TherapY for Metastatic Breast Cancer. This trial is part of the SEQuel trials, which are designed to advance precision medicine within Lineberger. HARMONY analyzes molecular subtypes of metastatic breast cancer tumors to determine if this information can guide treatment in this patient population. Alex Boland coordinates the Strata Oncology clinical trial at UNC. The Strata Trial provides no-cost tumor sequencing for patients with advanced cancer, and shortens clinical development timelines by proactively matching genotyped patients to a portfolio of affiliated genomically-guided therapeutic protocols and/or approved therapies. Tucker Brenizer works with Geriatric Oncology investigators, as well as other UNC Lineberger collaborators and statisticians to provide oversight of data collection, data quality, and database creation and management for multiple clinical, correlative and translational studies in the Geriatric Oncology Program. 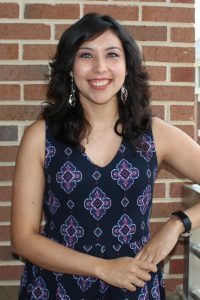 Luz Cuaboy manages the UNC Immuno-Oncology Patient Centered Translational Research (IMPACT) Biorepository whose goal is to serially bank bio-specimens for the purposes of informing other immunotherapy research studies at UNC Lineberger. Luz is responsible for identifying, screening and consenting research participants and managing all the specimens collected as part of various studies. Tony Drier coordinates all Genitourinary (GU) Oncology studies that are not coordinated by the Clinical Protocol Office (CPO). Tony also collaborates with the CPO to help facilitate correlative tissue collection within GU CPO studies to ensure that tissues are collected effectively and are stored in the correct manner. 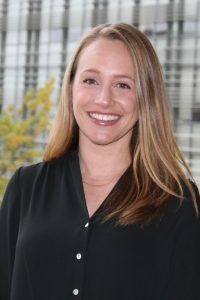 Erin O’Hare oversees recruitment, data collection, biospecimen collection, and patient follow-up for the coordination of geriatric oncology breast intervention studies. The trials Erin coordinates investigate the impact of physical activity on quality of life and biomarkers of aging among women during chemotherapy for breast cancer. Vanessa oversees recruitment, data collection, and biospecimen collected for all pediatric studies coordinated by the OCTR. This include LCCC 1805 a pediatric biorepository for current and future correlative research studies of pediatric cancers, the Pediatric p16 INK4a study, and GUMBALL: Genetic Understanding of Minimal residual disease in T and B-cell Acute Lymphoblastic Lymphoma study which is part of the SEQuel trials. 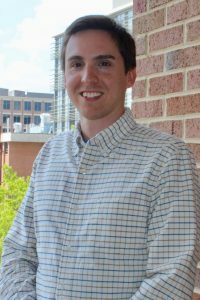 nickm7@live.unc.eduNick oversees recruitment, data collection, biospecimen collection, and patient follow-up for the coordination of cancer registry studies. He works closely with the plasma cell disorder population to further advance a cancer registry which investigates an individual’s chronological age versus functional age. This study also focuses on identifying potential molecular biomarkers that may help predict the effects of anti-cancer treatment. shannon_myers@med.unc.edu, 919-966-6904Shannon Myers assists with coordination of Genitourinary (GU) Oncology Studies not listed under the auspices of the Clinical Protocol Office (CPO). Shannon oversees all recruitment, data collection, and biospecimen management for a trial investigating the relationship between renal mass biopsy and clinical decision-making. Will Pulley coordinates all Leukemia studies that are not coordinated by the Clinical Protocol Office (CPO). Will oversees recruitment, data collection, and biospecimen collection for the execution of leukemia studies led by faculty and principal investigators at N.C. Cancer Hospital. Janhvi Rabadey coordinates a group of gastrointestinal and lymphoma studies for the OCTR. The group of studies that she coordinates includes a GI Microbiota Composition Study (LCCC 1746), a Hepatocellular Carcinoma Biomarker Study (IRB 18-0061), and a Lymphoma Registry (LCCC 1850) and Retrospective Review of Advanced Age Lymphoma Patients (IRB 18-2745). Before joining the OCTR, Janhvi worked for six years in research for the UNC Department of OB/GYN and the School of Dentistry. A long-time North Carolinian, Janhvi’s interests include Cancer Research, Internal Medicine, Women’s Health, and Holistic Medicine. 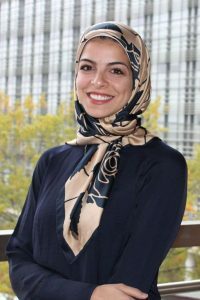 Salma coordinates OCTR breast cancer research studies including the UNC Breast Tumor Donation Program, the Aurora Prospective Study, as well as the ‘Alliance for Clinical Trials in Oncology’ studies BWEL and POSITIVE. She is responsible for program recruitment, community education, and biospecimen management. She also works closely with the breast cancer population to help maintain a clinical metastatic REDCap database. 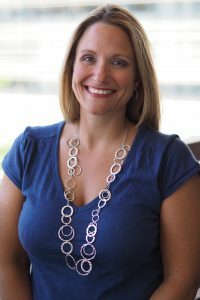 Amy Wheless joined the OCTR in 2004 where she filled the role of Social Research Specialist in Breast Cancer. In this position, Amy acts as a study coordinator and data manager for multiple clinical and translational breast cancer studies for Drs. Lisa Carey and Chuck Perou.